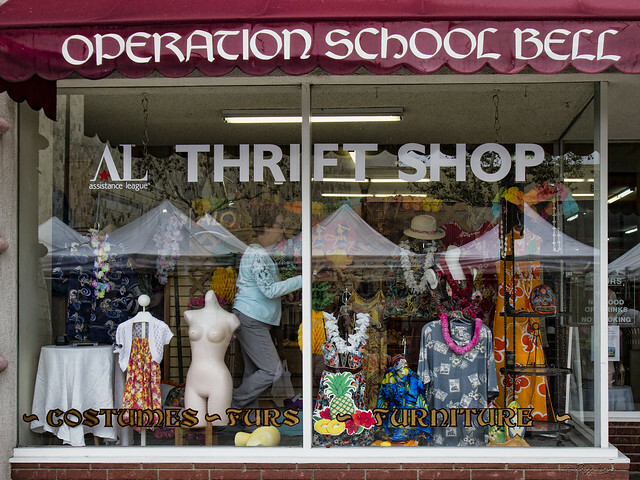 I often snap a picture of the latest window display at the Second Tyme Around thrift shop in downtown Downey. But this is the first time I've seen the work in progress. The Hawaiian-themed display must have caught someone's eye, because a dress was being purchased, and some redressing was definitely necessary.